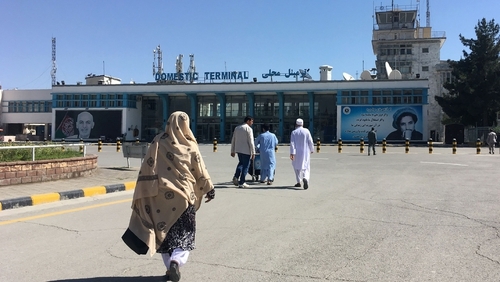 Airspace restrictions in Pakistan following simmering tensions with India have caused airfares to spike for Afghans who travel for medical treatment, education and business. Pakistan closed its airspace in February after a suicide bomber from Pakistan-based militant group Jaish-e-Mohammed (JeM) attacked a convoy in Indian-controlled Kashmir. Following the attack, both countries carried out aerial bombing missions on each other's soil and their warplanes also fought a dog fight over Kashmir. Some Afghani citizens, who regularly travel the route, worry whether they will not be able to afford the back and forth trip between the two states. An official at Pakistan's Civil Aviation Authority has said that airspace remained partially closed but a further decision about re-opening is required. He declined to provide details about which routes were affected. Afghanistan-based airline Kam Air and Ariana Afghan Airlines still offered direct flights to India, spokesmen for the companies has said. Ariana, which offers four direct flights per week, has lost $550,000 in the past month because of Pakistan's restrictions, said customer service manager Sayed Edris Ziwari. Kam Air has lost $1 million in the same period as costs rose and ticket sales fell, said customer relationship manager Muhammad Yusuf Zahir. India-based SpiceJet Ltd has cancelled its direct flights from Kabul to Delhi. India is Afghanistan's second-largest export market after Pakistan, and the two countries accounted for 86% of total Afghan exports in 2016, according to World Integrated Trade Solution, a trade information database developed by the World Bank, United Nations and World Trade Organization. The restrictions have boosted shipping costs of commercial goods by 66%, forcing exporting companies to absorb losses, said Jan Aqa Naweed, spokesman for the Afghanistan Chamber of Commerce and Industries. "If we suffer losses, Pakistan will suffer losses too," Naweed said.